Thank you everyone for the get well wishes. 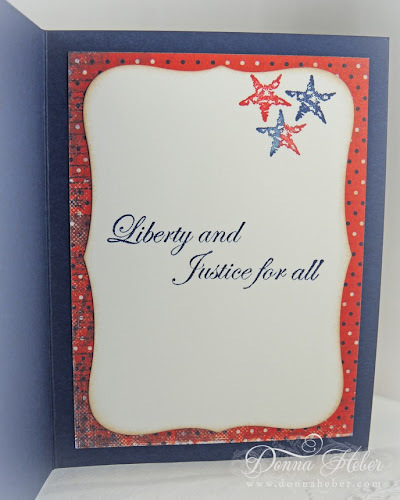 Now that I am feeling a little better I thought I had better finish up a few of my July 4th cards. This one came together pretty quickly using the BoBunny Liberty paper. Freedom was stamped in Night of Navy and embossed with clear embossing powder. The banner die is new as I just purchased it from A Cut Above by Verve. Clear star rhinestones from Pizzazz Aplenty top off the stars on the paper. Happy Canada Day to all my fellow Canadians up North! I'm still getting caught up on my email and making the rounds. Anything Goes @ Simon Says Stamp! Glad you're feeling better Donna. What a great 4th of July card with the star bling! Awesome inside too! The card turned out so beautiful! 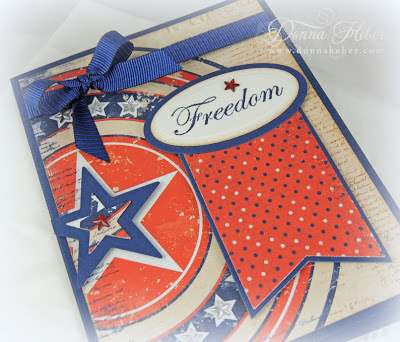 I liked how you used the sponging technique :) Lovely creation!Have a great 4th of July, Donna! Hi Fonna- I didn't know you weren't well but I'm glad to hear you're feeling better. Your card is awesome! Have a great 4th of July! Hi Donna! 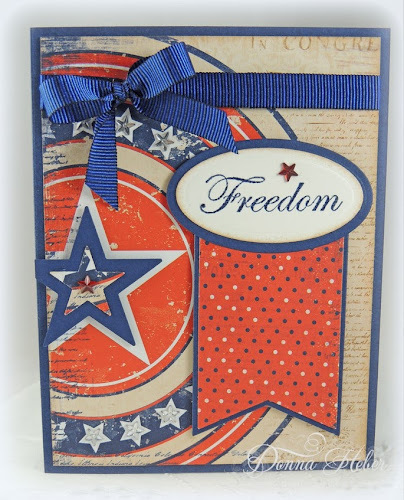 Fabulous use of patriotic papers!! Love how you added all the die cuts too! I am glad you are feeling better! What an outstanding card! It is so patriotic and so pretty. Fabulous card!!! Thank you so much for sharing it with us at MIM! it's a great and beautiful card Donna, love the papers. Just love your card. Love the colors, layout, and everything about it. TFS! I saw you at MIM. So glad to hear you're doing better, Donna. Have a very happy 4th of July! Fabulous 4th of July card, love the layout design. Thank you for joining us at Simon Says Stamp challenge. Great card, nice design. Thanks for visiting us at 613 Avenue Create. 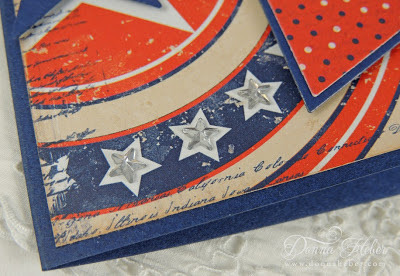 Beautiful card, saw it on MIM and recognized your blog name! Amazing simple and awesome. Thanks for sharing at LovesRubberstamps!!! Fabulous card, love the design! Thanks for playing with us at Loves Rubberstamps!